We have had a very bad winter. May until now was cold, and it snowed, so the kayaks were winter sleeping. We had a cold spring here. Let’s hope summer will be nice. 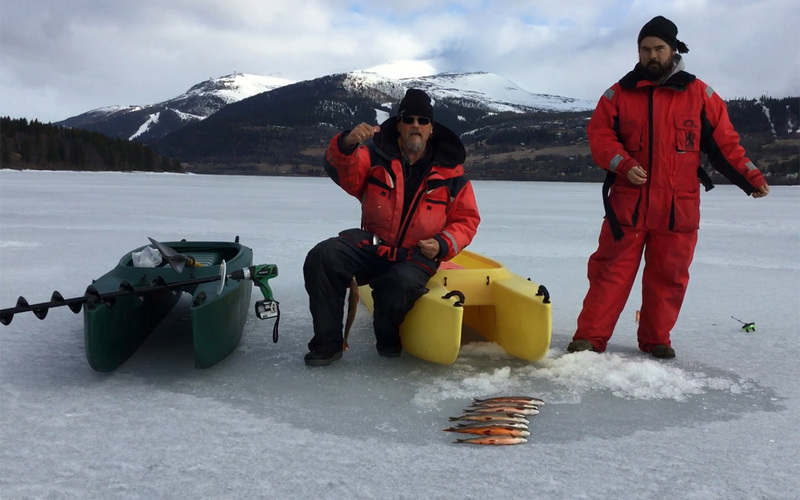 The presence of these super stable kayaks on the ice offers adds to both convenience and safety. Hey guys…….have you thought about hooking up sled dog teams to your Wavewalks and letting them pull you over the ice?